Happy weekend everyone! 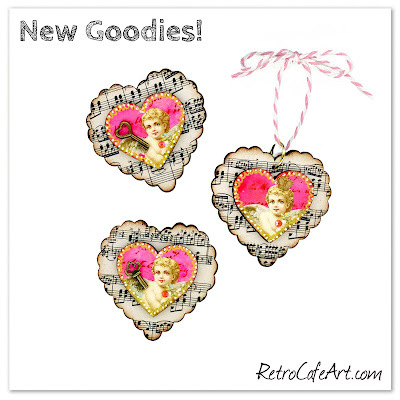 We have some wonderful new goodies in the shop! 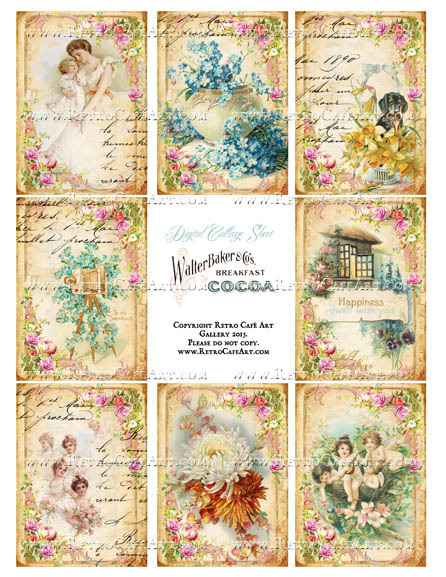 SIX absolutely stunning Collage Sheets, Minis, Dresden, and more! The brand new Collage Sheets are super perfect with our new Chunky ATCs! If you like stunning backgrounds, you love the new sheets! Find the entire Valentine's Day Section HERE. And our Coffee Break Design Valentine Section for tons of unique products HERE. Art Time with Chrissy Colon! 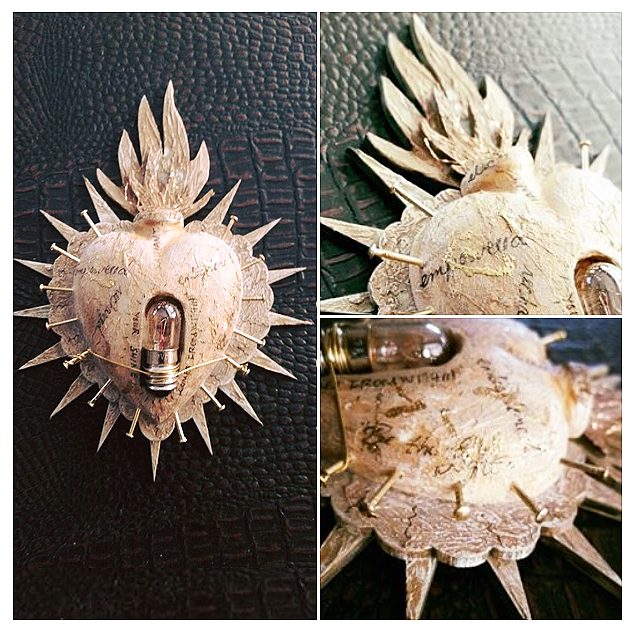 Feast your eyes on "Tabitha", an incredible Steampunk Santos Doll by Chrissy Colon! 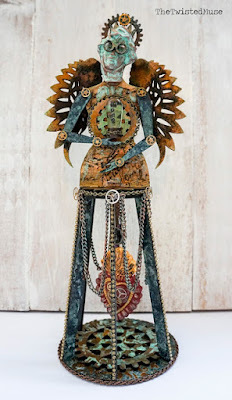 We are loving her fabulous patina finish, and amazing combination of materials. A glorious work of art Chrissy! 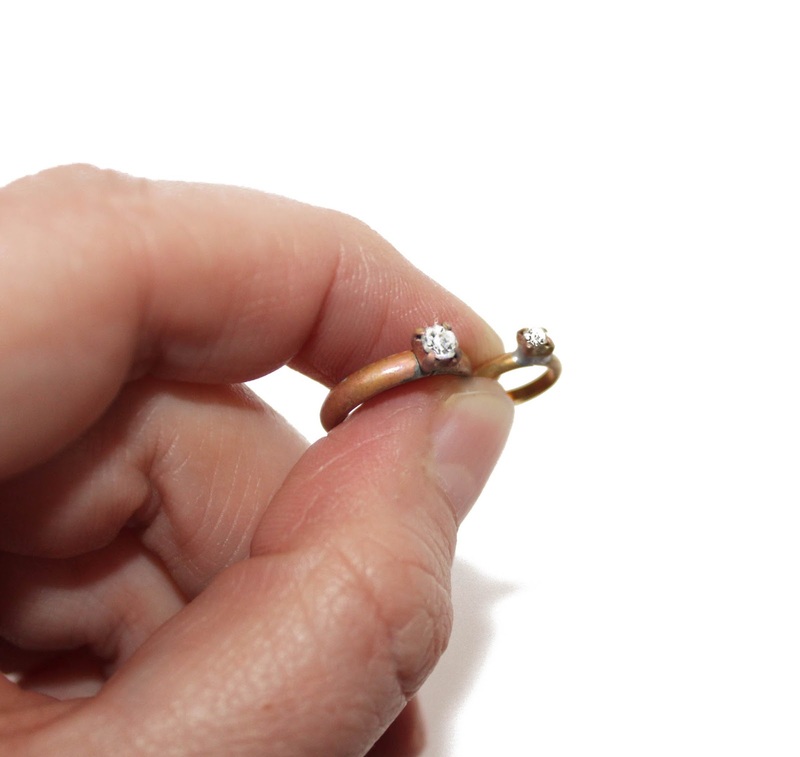 Stop by Chrissy's blog for more stunning photos, information, and the full supply list! 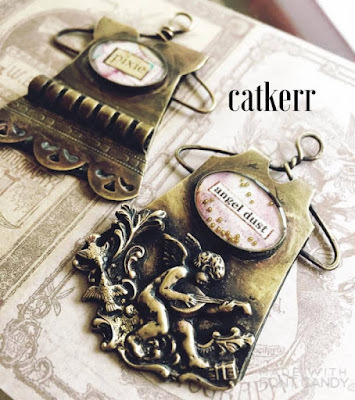 We love how Design Team Member Cat Kerr "dressed" up our Cupid Charm. The gorgeous patina really brings out the details. So stunning Cat! A fun little valentine with a wonderful Steampunk flair by Sherry Matthews! We really love the sentiment she used combined with the cool map background! Just lovely Sherry! 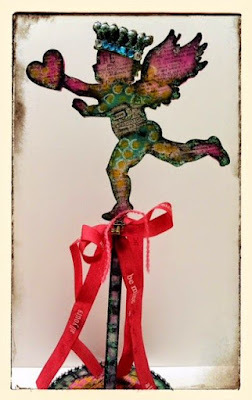 Cupid Sticks are really fun to alter. 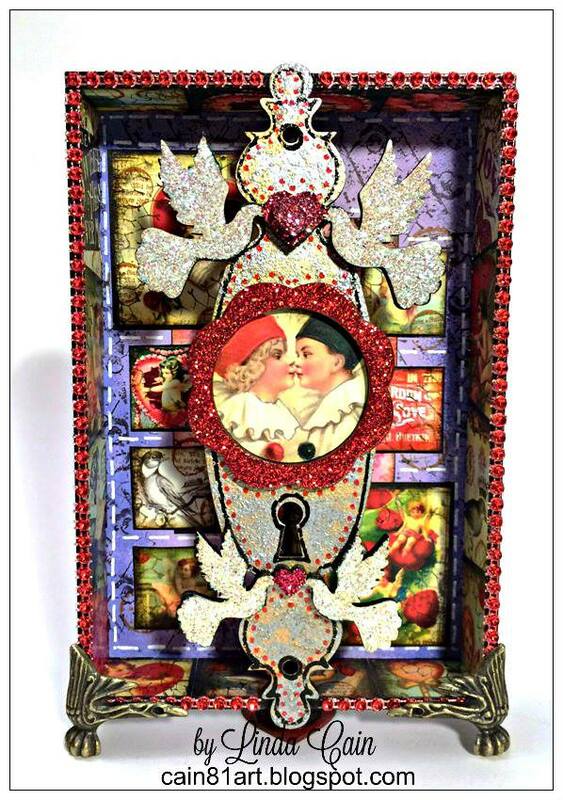 This beauty is by Design Team Member Amy Nieman! Cat Kerr! 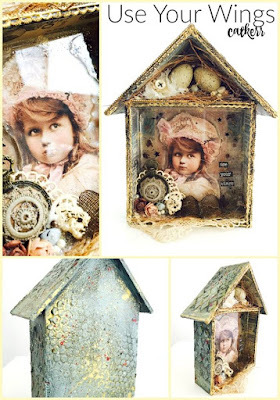 We especially adore the way she created a nest inside the roof. And oh my, that texture! So stunning Cat! This is just one of Cat's fabulous process photos. Check out her post from MORE! 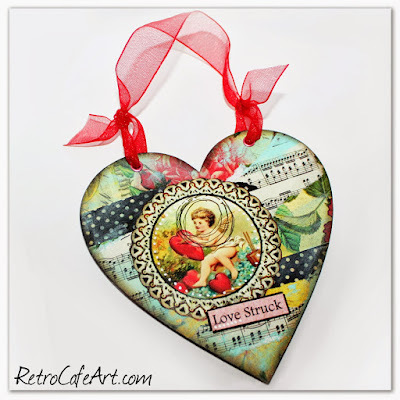 Feeling the love with this super sweet vintage inspired valentine card by Design Team Member Gerri Herbst! Anyone else craving some chocolate? 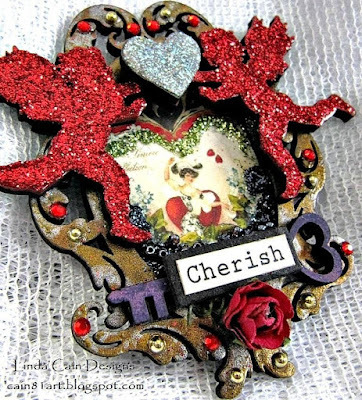 Such an adorable piece Gerri! 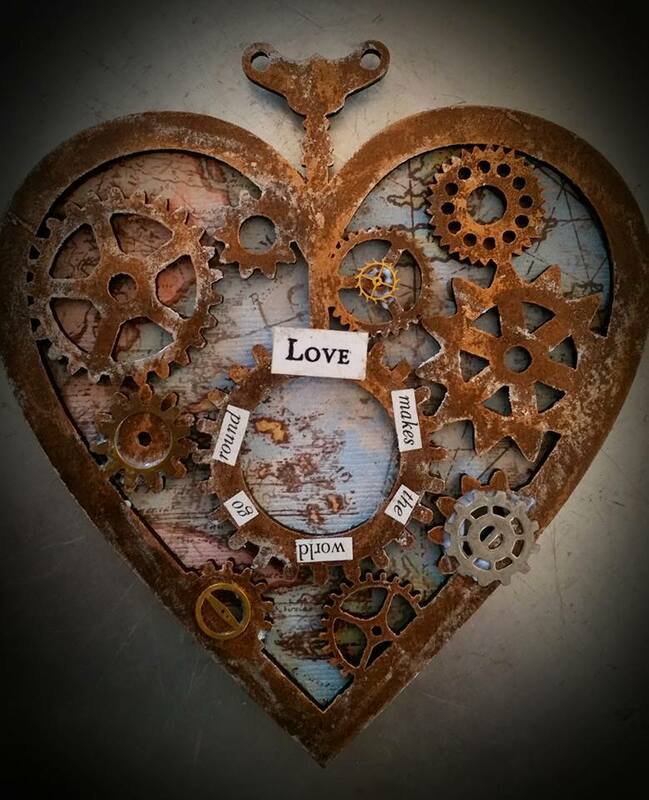 A sweet as can be wood magnet by Design Team Member Amy Nieman! We love her wonderful layers, and of course the message! Great piece Amy! "Empowered", an absolutely stunning assemblage piece by Sherry Matthews. We adore the stunning texture she created, and her brilliant combination of materials. 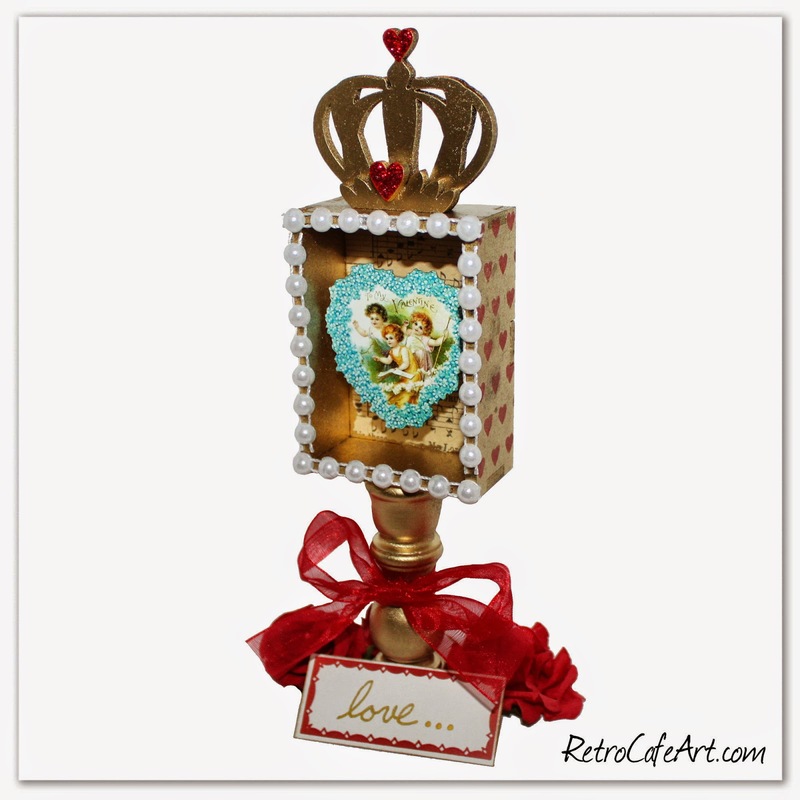 Such a cool piece Sherry! 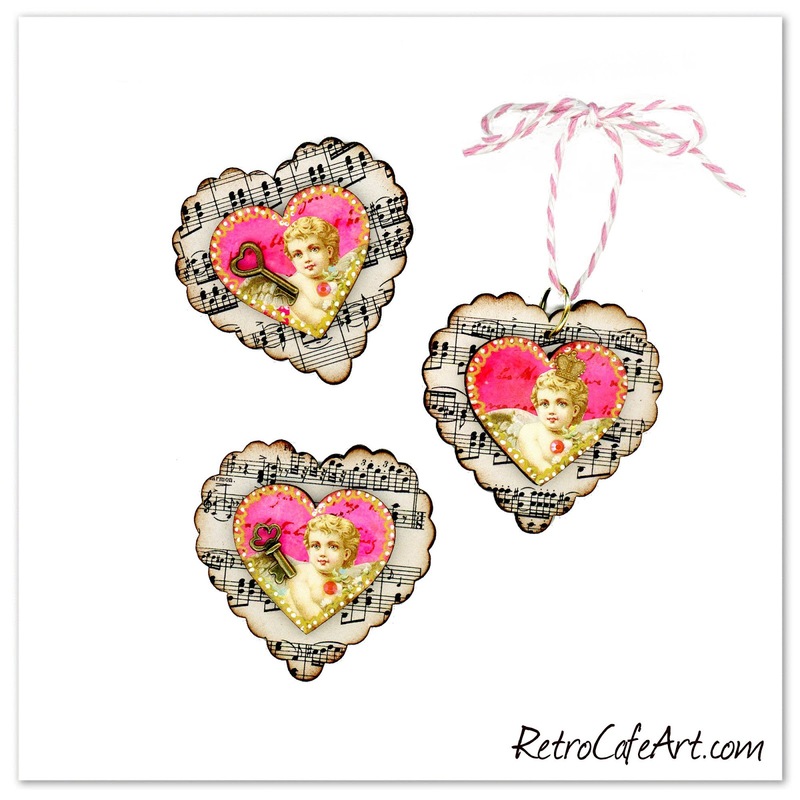 We love these little Valentine Minis by Design Team Member Linda Cain! Check out her post HERE. Happy weekend everyone! I'm super duper excited about this weeks goodies! 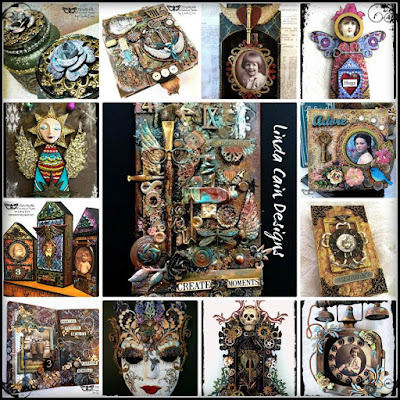 Last week when I was designing the Basic Shadowbox Kits, I started thinking about Chunky ATCs and how much fun they are to create. 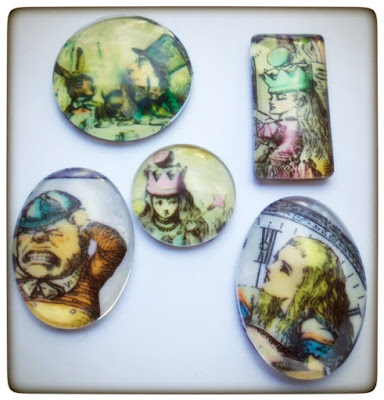 I've been itching to work on some regular ATCs for a while, but I do like to go more of the assemblage route with my art, so the Brand New Chucky ATC Kits were born!!! BEST OF ALL, you can get them with a keyhole nail hanger on the back so you can hang them on the wall. I'm telling you, they are addicting! 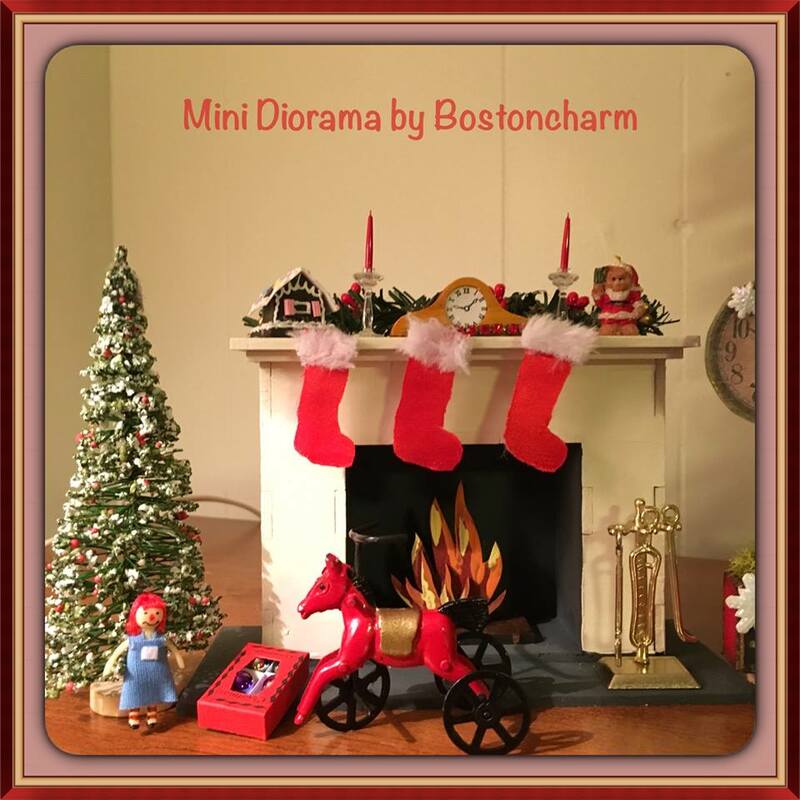 They are perfect for gift giving, swapping, selling, keeping, and more! We also have some fun new Cut Outs in the shop, as well as new Dresden. I do love Dresden for Valentine's Day. Lots of the Dresden has been restocked too, so if you've been waiting for something, check out the Dresden Section! I had so much fun playing with the New Chunky ATC Kit and I can't wait to make a ton more! 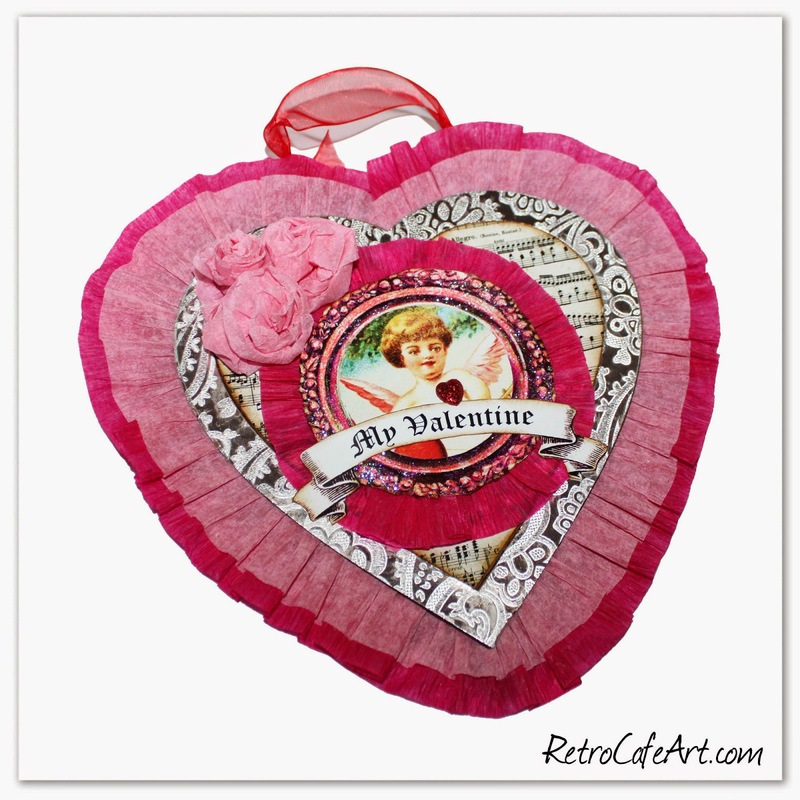 Since it's the season, I went with a Valentine's Day theme, however you can use these kits for any theme under the sun. The options are LIMITLESS! 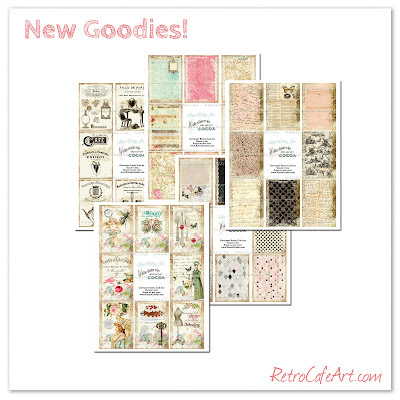 I started by picking out one of my favorite ATC Size Collage Sheets. That was the toughest part, since we have so many! 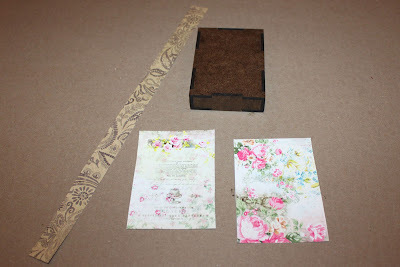 I cut out pieces for the front and back and then I cut out a piece of scrapbook paper for the sides. 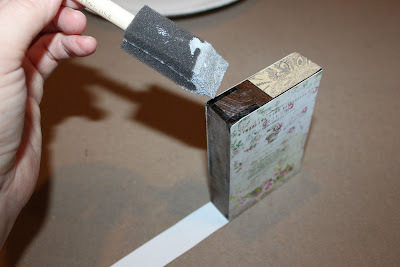 After I attached my papers, I sanded, inked, and painted the edges. 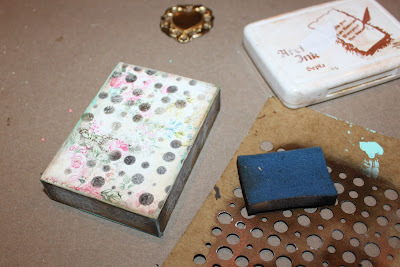 I stenciled on some circles too. 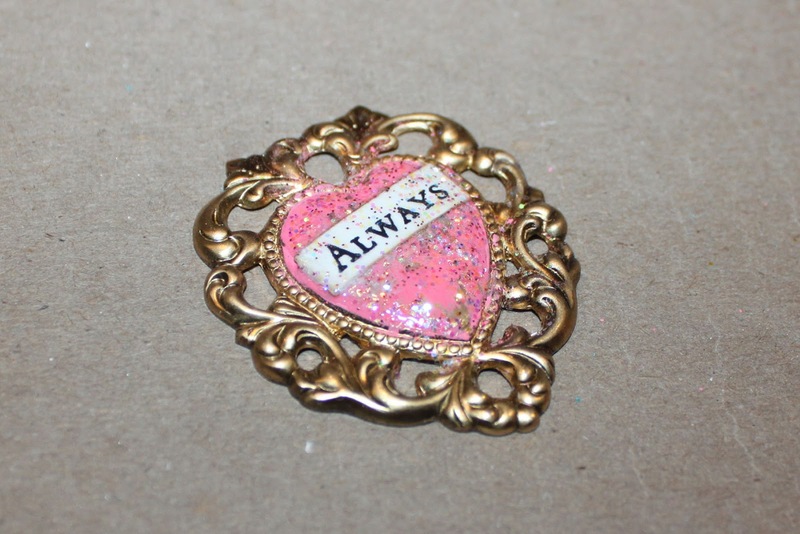 I really like the way my brass heart turned out. 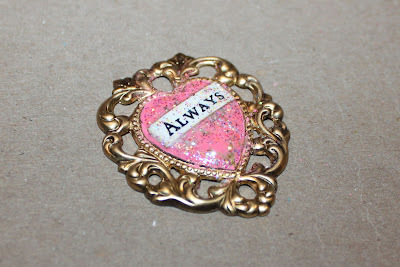 I painted the center with acrylic paint, added a paper cut word, covered the whole thing with Diamond Glaze, and while still wet, sprinkled in some glitter! 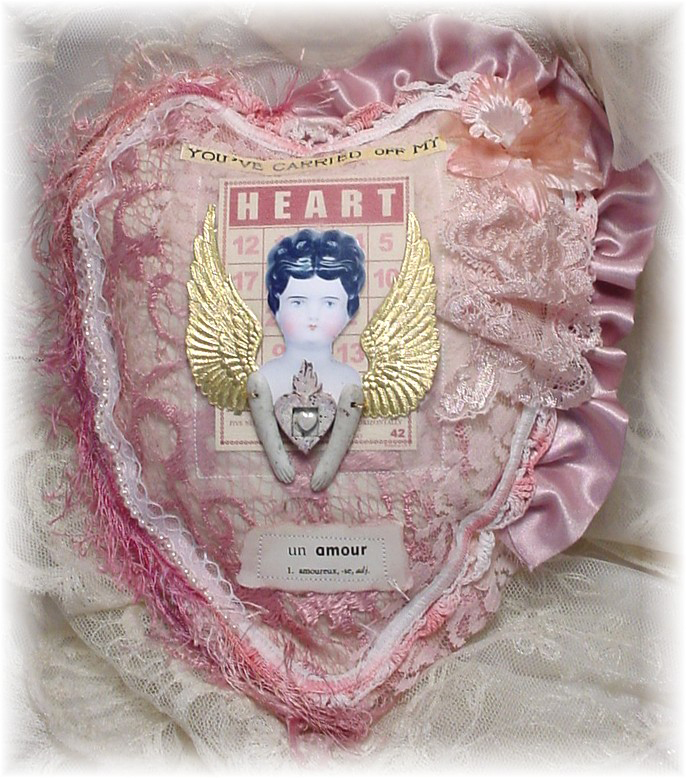 On the back I attached my Ornate Lace Heart. They are gorgeous folks! And I finished attaching my other bits. 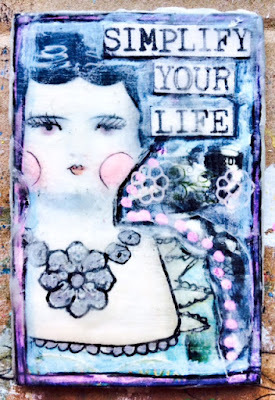 I had a blast with this project, and I've found my love for ATCs once again! I can't wait to see what you guys come up with! 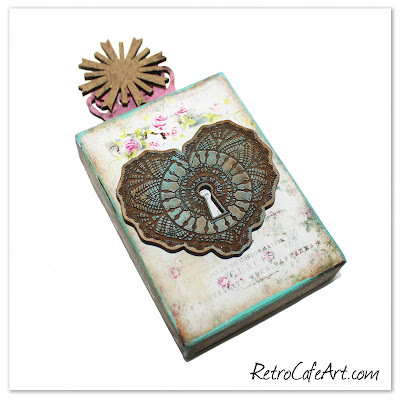 A wonderfully sweet mini journal page by Design Team Member Amy Nieman! 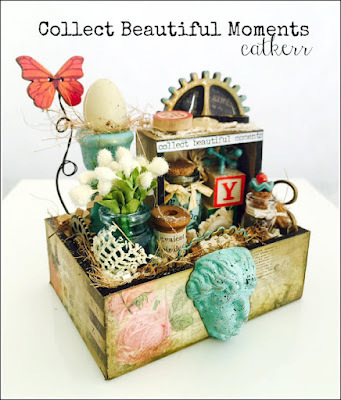 We especially love how she used the butterfly button for a whimsical touch! Also note the faux rhinestone ribbon, adding awesome texture. So lovely Amy! We adore this cool Frida Shrine by Tracy Delisle! 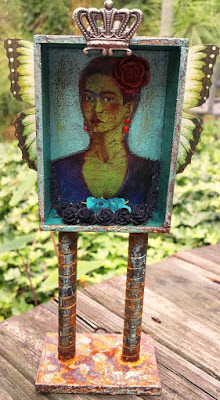 The textures are amazing, and Frida looks beautiful adorned with the flowers! So stunning Tracy! 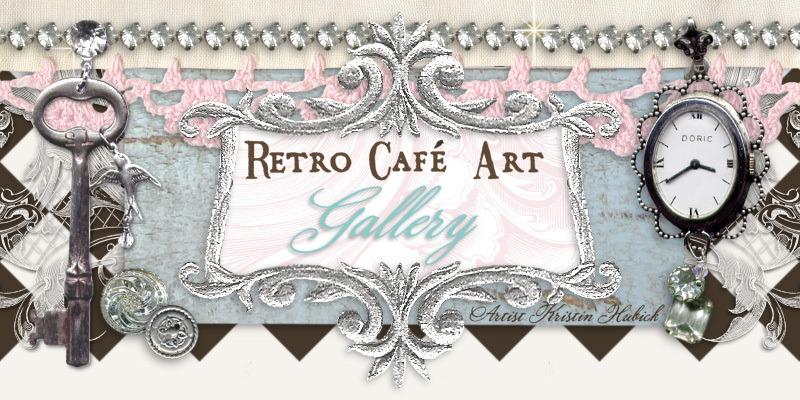 In case you missed it, don't forget to grab your FREE Digital Collage Sheet! 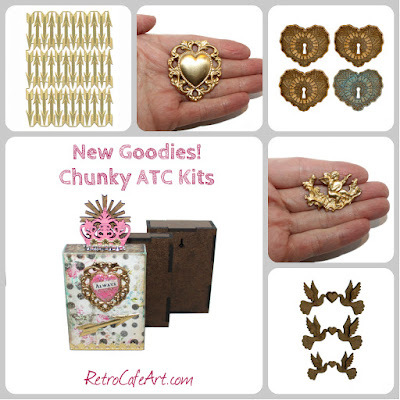 This sheet would work great with the new Chunky ATC Kits! Grab the sheet HERE. 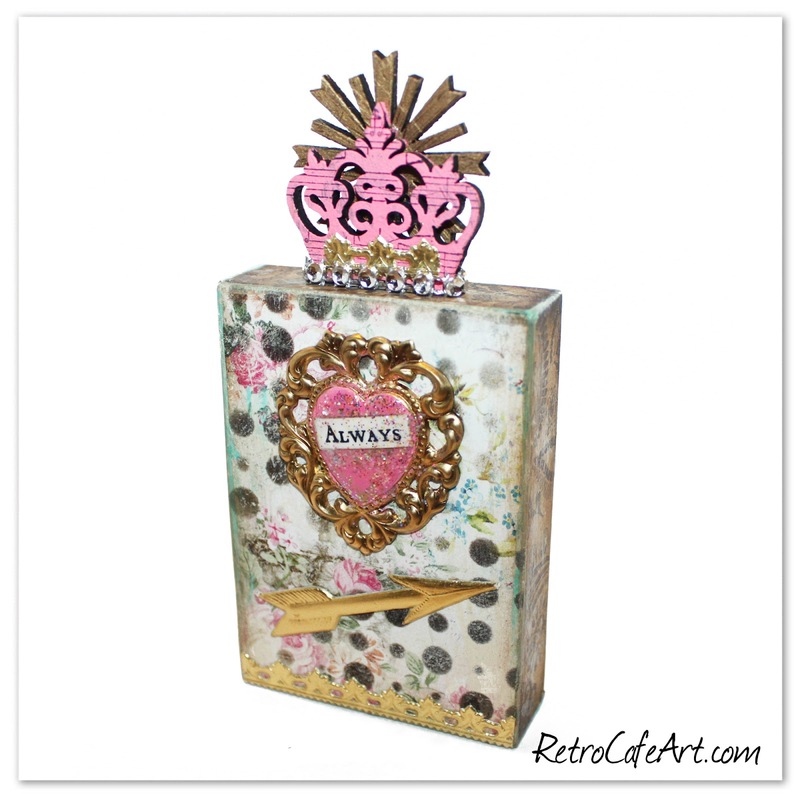 This Mini Crown Shrine is definitely one of my favorites! 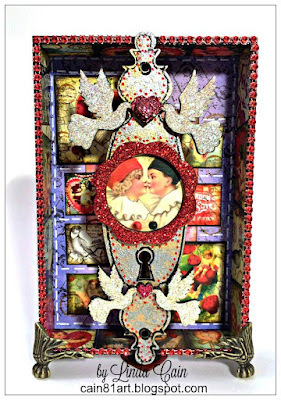 And many of the techniques work perfectly with our new Basic Shadowbox Kits and Chunky ATCs! You can find the tutorial HERE. Happy weekend everyone! 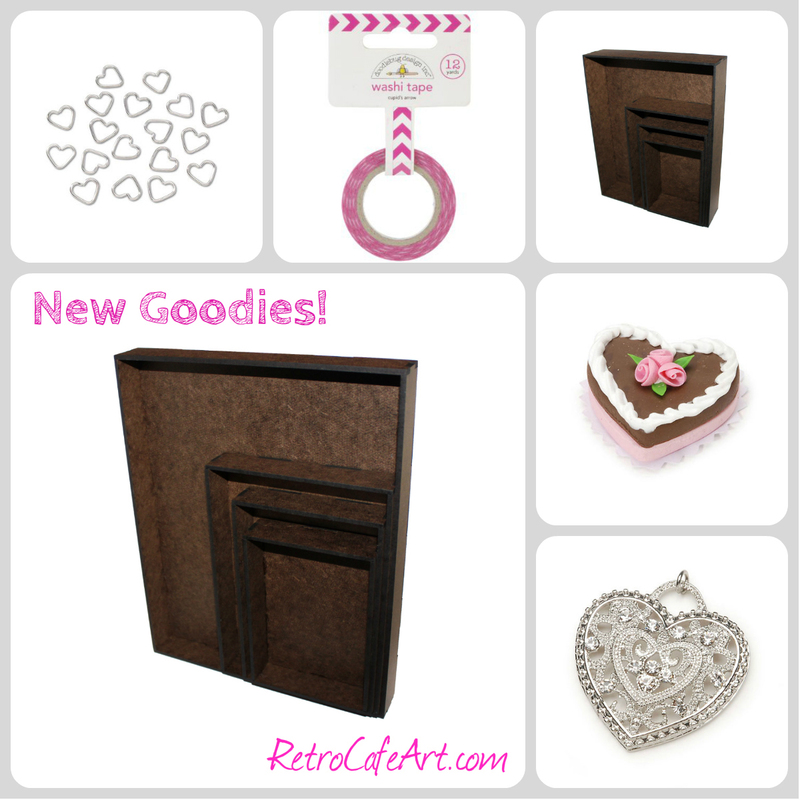 I'm really excited about our new Basic Shadow Box Shrine Kits! By request, I've added several new larger sizes, each in two different depths! The largest is a generous 8" x 10"! The deeper shrines are awesome for adding box feet! And of course they are all perfect for any theme! I can't wait to see what you guys come up with using these limitless kits! 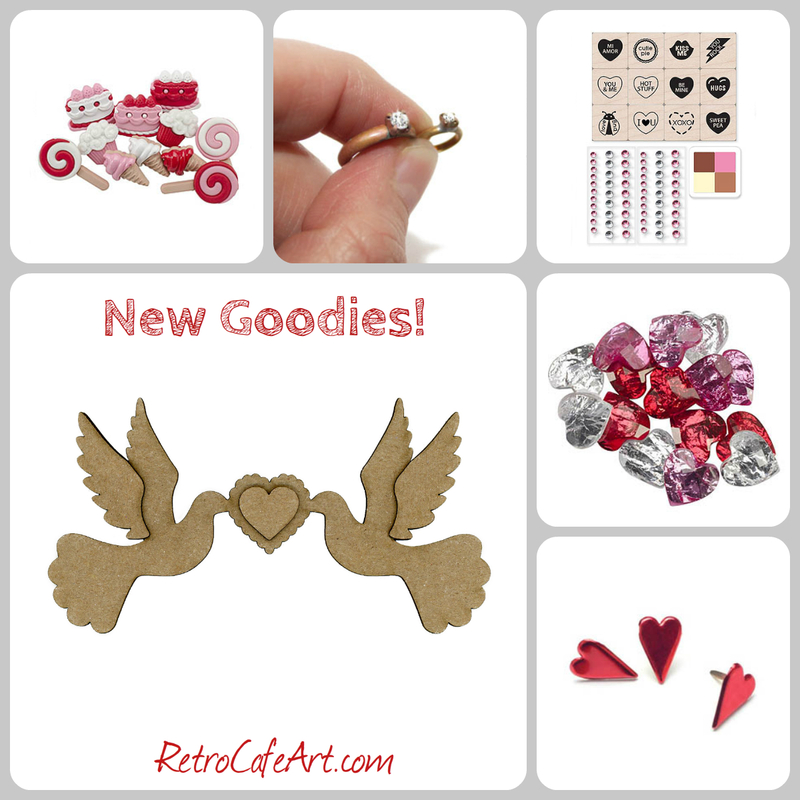 There are some new Valentine's Day goodies too! Check out this gorgeous Valentine's Day Angel by Design Team Member Linda Cain! Stop by Linda's blog to learn her easy, brilliant secret for creating the lovely body! You'll find the full supply list too! So awesome Linda! We adore this super sweet ornament by Design Team Member Amy Nieman! Especially the lovely mini paper flowers! 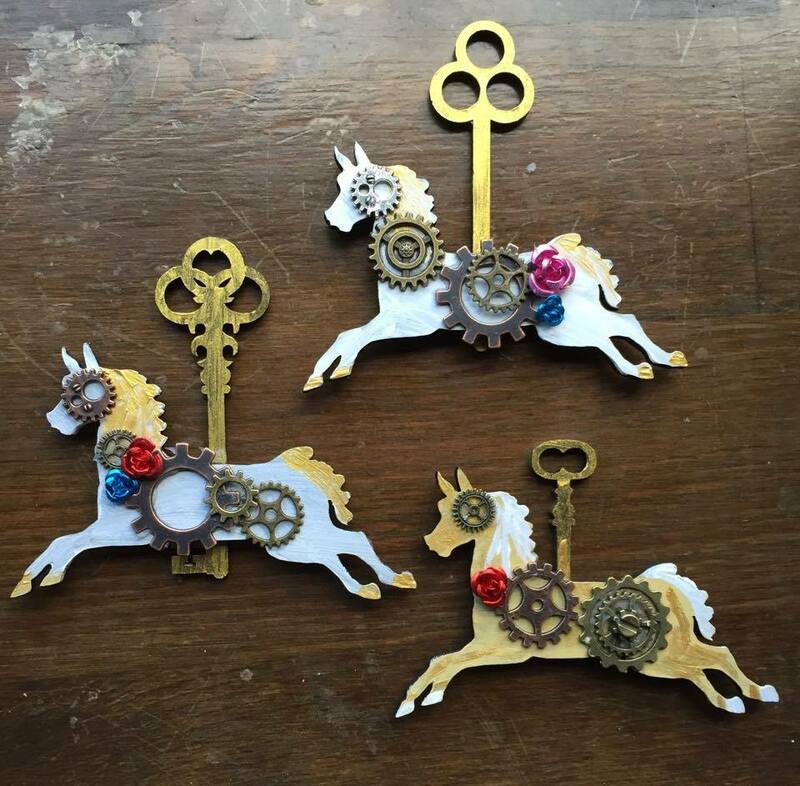 These fantastic steampunk horses were created by Kimberly Heil! We love the way she cleverly combined her elements in these fabulously creative creatures. So wonderful Kimberly! "Still Becoming", an incredible layout by Design Team Member Cat Kerr! The quote Cat used is especially perfect for the beginning of the new year! We're looking forward to a wonderful, creative 2016 with all of you! So inspirational Cat! This crepe paper Vintage Valentine is still one of our favorites! You can find the fun tutorial HERE. Happy weekend and HAPPY NEW YEAR everyone! We hope you had a safe and wonderful holiday. Here's to health, happiness, and endless creativity! 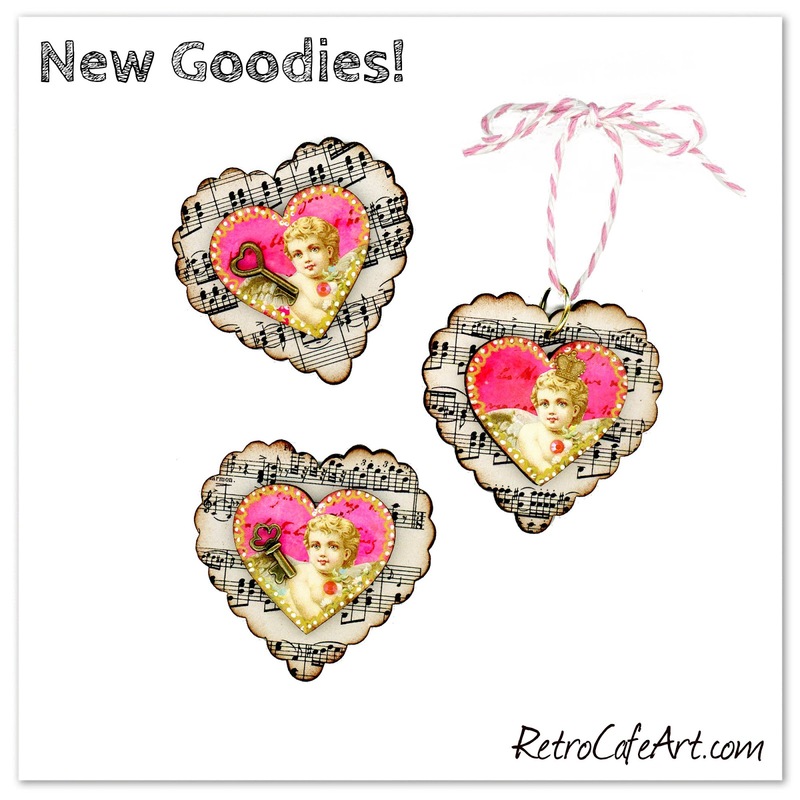 This week we put together some adorable Heart Ornament and Heart Magnet Kits. Each kit includes goodies to make 4 sweet pieces. And of course I had to test them out. LOVE THEM! 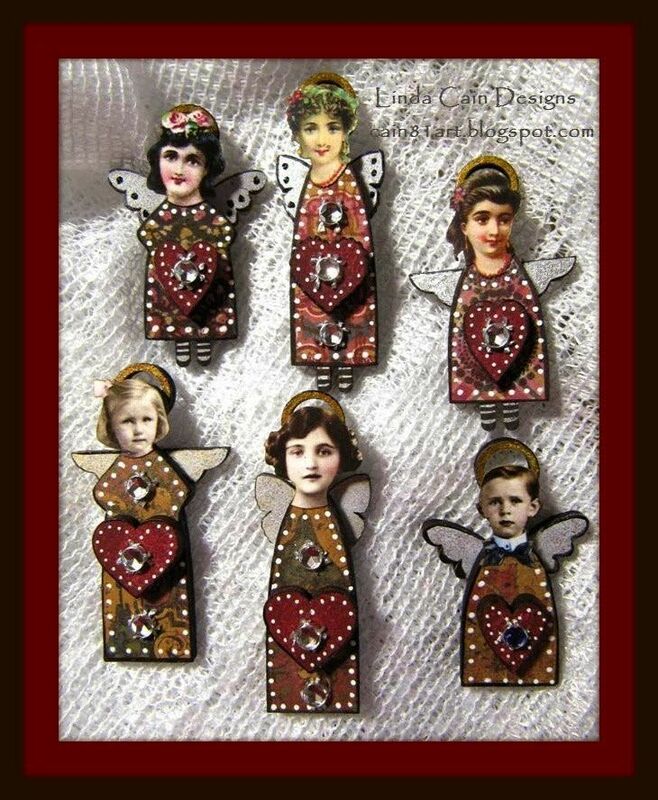 Heart Ornament Kit, Heart Magnet Kit, Collage Sheet SC93, Peerless Watercolors, Mod Podge, Gold Signo Pen, White Signo Pen, Sepia Ink, Tiny Brass Crown Charm, Tiny Brass Heart Key Charm, Small Skeleton Key CharmThese sweet hearts were so easy to make. I started by coloring my watercolor paper hearts using peerless watercolors. 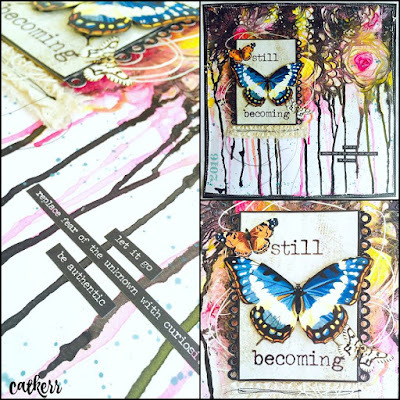 They I stamped them, collaged them with the new SC93 Collage Sheet, and doodled on them with my Signos. I attached the cardstock hearts to the masonite using Mod Podge, and finally added some charms and bling! Adorable Alice in Wonderland Magnets by Design Team Member Amy Nieman! This is a great project, with unlimited theme ideas. And we're loving the great shapes of the glass domes! So cool Amy! 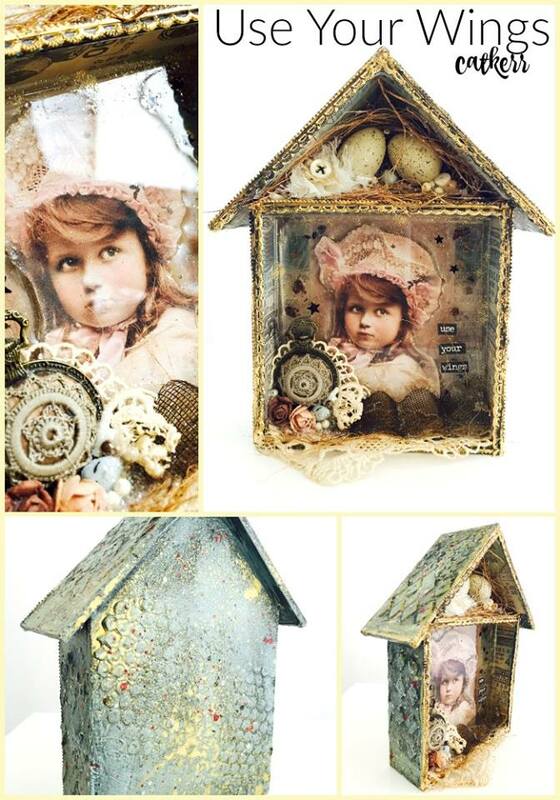 We're staying warm by the fire with this gorgeous little assemblage piece by Lisa Roulier Wiktorek! We're loving all the fantastic details. Especially the little stockings hung with care. Just wonderful Lisa! 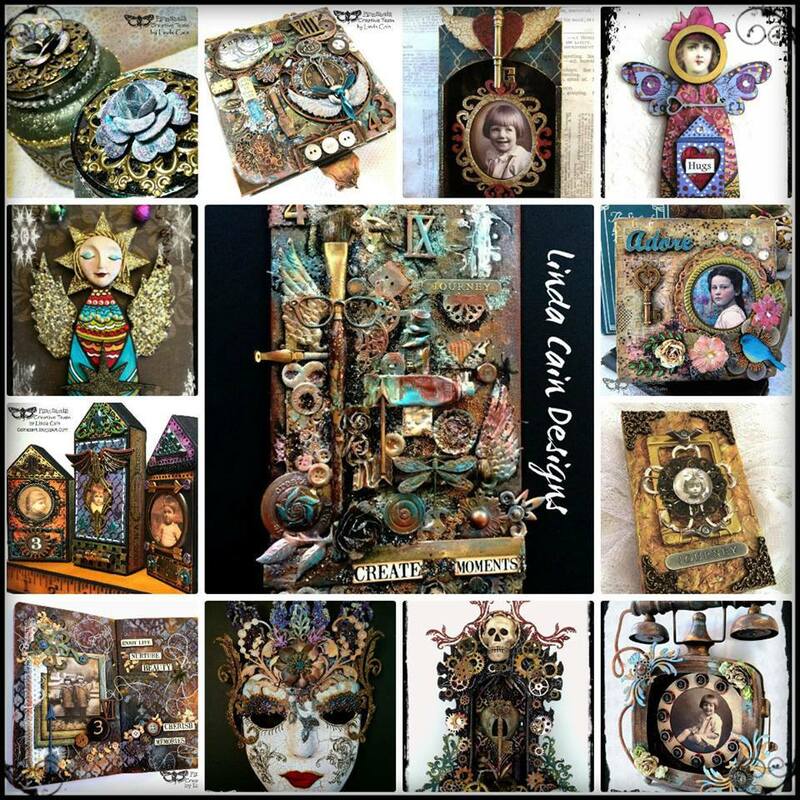 We adore this stunning fabric collage by Design Team Member Lynn Stevens! Her layering is awesome, especially the way she attached the Charlotte arms to the dollie image. We love the little flaming heart too! So stunning Lynn! 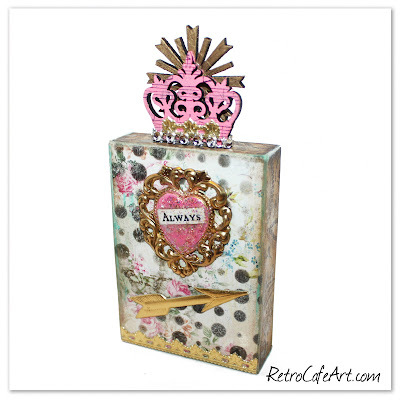 More Inspiration By Amy Nieman! An adorable dollie Valentine ornament by Design Team Member Amy Nieman! 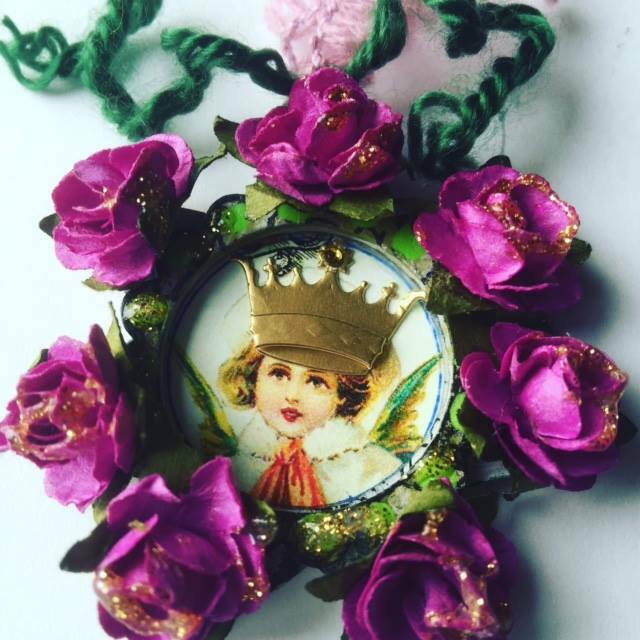 How sweet is the face in the center of the ornament. And the flourishes look beautiful as an accent. So pretty Amy! We love this Valentine Cupid Cameo by Design Team Member Linda Cain! You can find the full supply list HERE on Linda's blog! This Large Heart Ornament is also a blast to play with. Lots of room for collage and embellishing!